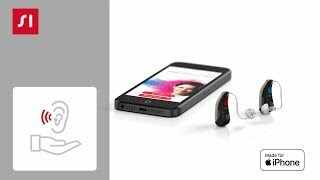 Signia’s new Motion™ 13 Nx harmonizes the wearer’s voice and the surrounding sounds, providing the most natural own voice and best speech understanding in noise. Its sleek, new housing design offers individual handling and fitting options to meet almost all of your customers’ wishes. Bluetooth-based direct streaming and the myControl App let Motion 13 Nx offer enhanced connectivity, while you can provide your customers with full live remote support via TeleCare 3.0. Standard battery door can be exchanged for one with an integrated T-Coil. 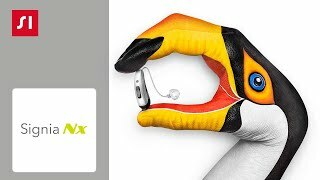 The incredibly versatile MotionTM 13P Nx is ideal for wearers with individual fitting requirements and severe to profound hearing loss. Complementing the equally versatile Motion 13 Nx, this power BTE harmonizes the wearer’s voice and surrounding sounds, providing the most natural own voice and best speech understanding in noise. 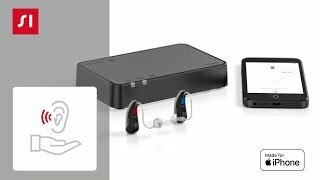 Motion 13P Nx provides full Bluetooth connectivity and Signia TeleCare 3.0 with an optional modular T-Coil integrated in the battery door. The TV sound can be fed directly into Signia Nx or Pure 13 BT primax hearing aids via the StreamLine TV transmitter. Wearers can even adjust the TV volume individually via the myControl App.